Following our series of posts about OpenNebula and Docker, we would like to showcase the use of Docker Swarm with OpenNebula. Docker Swarm is native clustering for Docker. 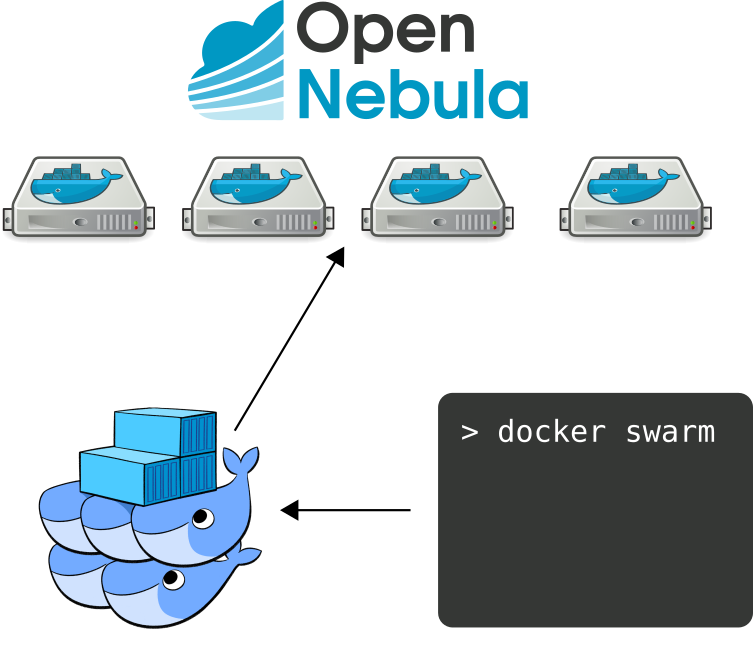 With Docker Swarm you can aggregate a group of Docker Engines (running as Virtual Machines in OpenNebula in our case) into a single Virtual Docker Host. Docker Swarm delivers many advantages, like scheduling, high availability, etc. We continue with our approach of using Docker Machine with the OpenNebula Driver plugin, in order to deploy Docker Engines easily and seamlessly. Please make sure to follow the previous post, in order to have a fully functional Docker Machine working with OpenNebula. 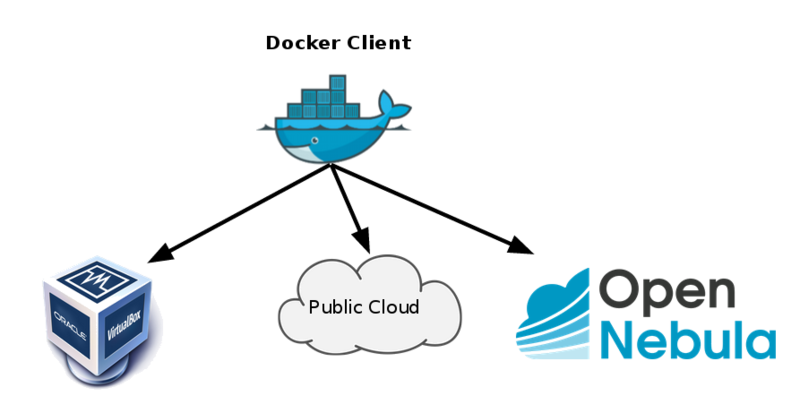 Docker Swarm makes use of a Discovery Service in order to implement the cluster communication and discovery. The Docker project provides a hosted discovery service, which is appropriate for testing use cases, however, in our case, we will use Docker Machine to deploy an instance of Consul, in particular this Docker container for Consul. You can repeat this for as many nodes as you want. 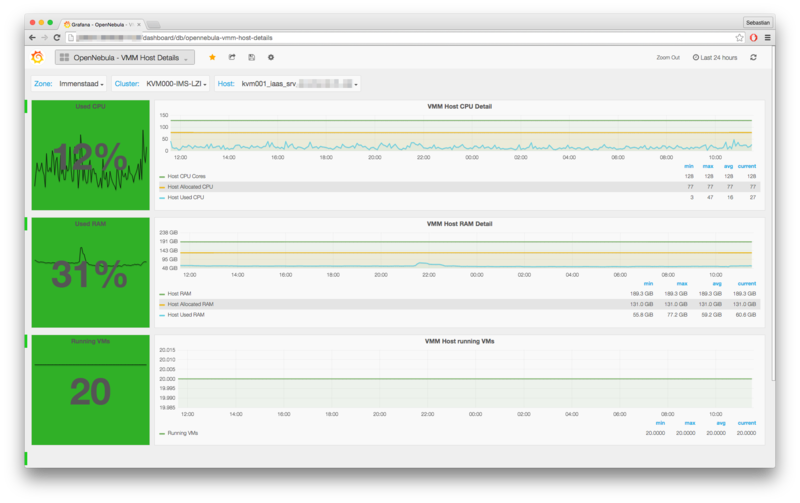 The options cluster-store and cluster-advertise are necessary to create multi-host networks with overlay driver within a swarm cluster. As you can see, thanks to the Docker Machine OpenNebula Driver plugin, you can deploy a real, production ready swarm in a matter of minutes. In the next post, we will show you how to use OneFlow to provide your Docker Swarm with automatic elasticity. Stay tuned! Latest developments, events and future plans for the upcoming months from the OpenNebula project. Read this newsletter to keep up to date with your favorite Cloud Management Platform. You might be interested in taking a look at the sponsorship opportunities for the next OpenNebula Conf 2016, due in October in Barcelona. Also it may be of your interest the projected OpenNebula TechDays for this year. Upcoming TechDays in March and April will be held in Madrid, Dallas and Toronto. 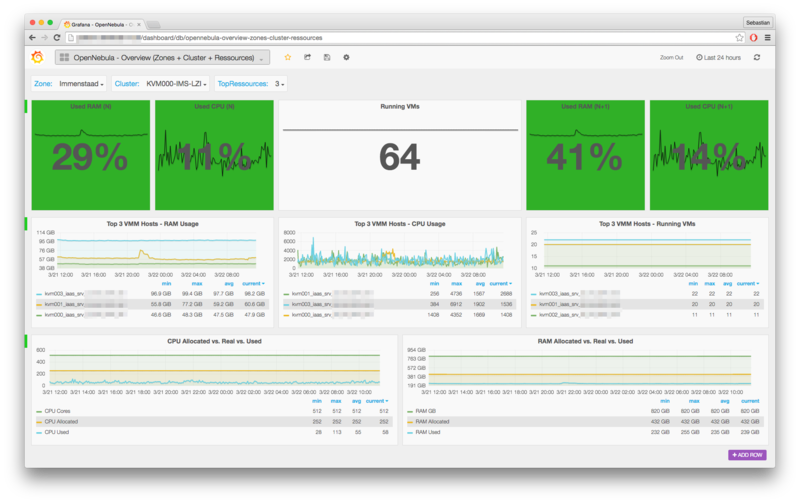 The OpenNebula team keeps working in OpenNebula 5.0, the next major upgrade that will incorporate a wealth of new features, keeping a smooth upgrade path. And no, this is no easy task folks. But we will make it happen. vCenter storage management, including datastore selection and disk hotplug, a full integration with the new Marketplace functionality. Share VMDKs among OpenNebula instances! 5.0 will also feature a myriad of interface changes, including an extension of the Cloud View available operations, to iron out the wrinkles in the user experience and a long list of other features. As you may have noticed, interest in Docker is surging. We see OpenNebula as the perfect IaaS support for Docker, and as such our strategy regarding integration of Docker ecosystem within OpenNebula is to follow a “container as a service” approach. 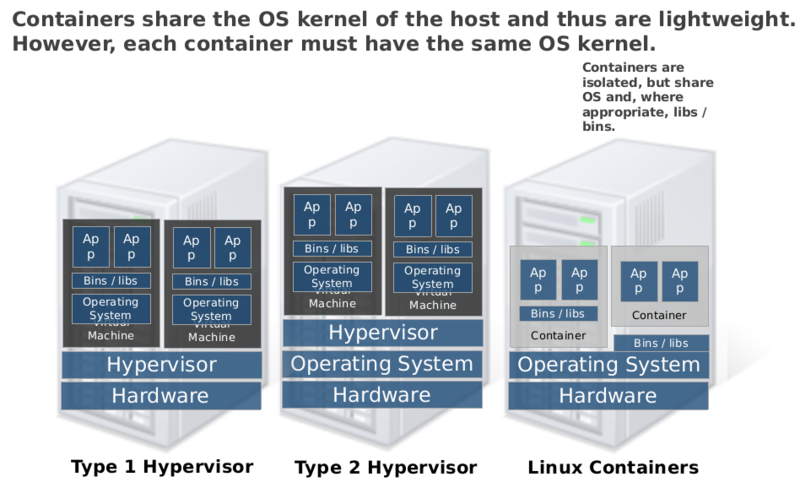 This is containers within VMs, not replace KVM/ESX with containers to ensure we maintain strong multi-tenancy. First we want to integrate OpenNebula with Docker-Machine to be able to build a container environment within your cloud. This feature is very advanced, as you can see in blog post. The second step would be to integrate tightly with Docker Swarm to be able to create Swarms using the OneFlow component. Lots of exciting things are happening in the OpenNebula community. Collaborations, contributions, and yes! even praise. Let’s review the highlights. LINBIT has developed a new set of drivers to give OpenNebula support for the excellent DRBD functionality. Check an informative demo in this video. A new release of the Perl binding for the OpenNebula Cloud API (OCA) is also worth noting if Perl is your sysadmin scripting language of choice. No excuse to make all the chores automatically in your cloud infrastructure now! A freshly brewed integration of OpenNebula with professional VDI platform has been announced by UDS Enterprise, to be available in the upcoming 2.0 release of their software. Our friends at NodeWeavers never stop. Take a look at their new family addition. 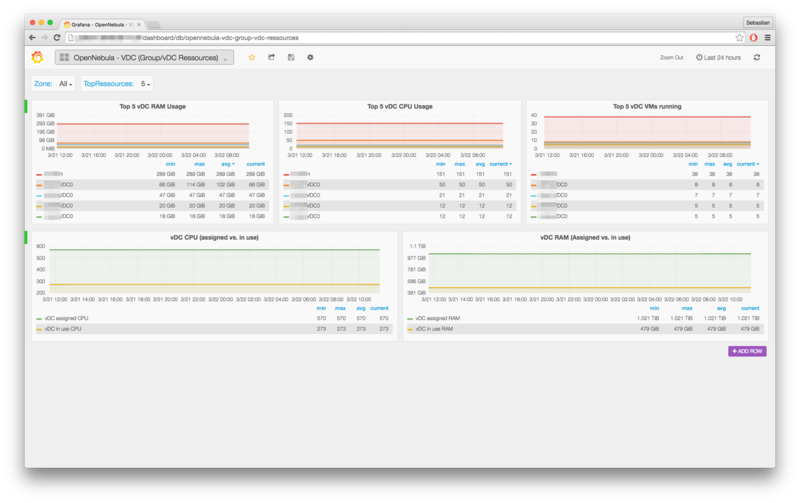 Cute is an understatement, and since it is based on OpenNebula, powerful another one. World wide adoption of OpenNebula is a fact. If more proof is needed, this is an excellent one. OpenNebula has been translated to the Persian language! Check this out. Overall, we are very proud of the OpenNebula community. OpenNebula won’t be half as good without you guys, keep it up! 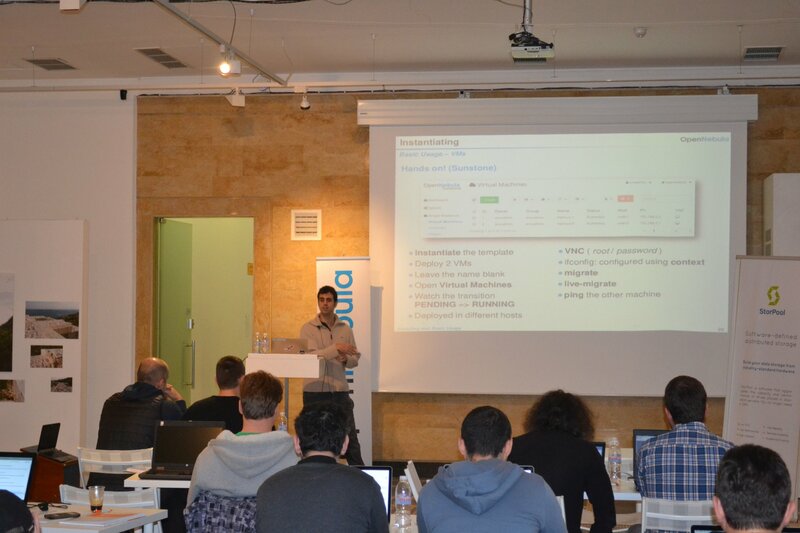 The next OpenNebula Conference in Barcelona in October 2016 has already been announced . If you are willing to attend and can save now the date you can take advantage of a 40% discount in your Conf tickets. More information is available from the event site. The Conf has already its first sponsor with StorPool. Welcome! Learn about the different sponsorship opportunities in the Conference web page. If you want to understand what all the OpenNebula Conference fuzz is about, check the last Conference material (talks, slides,pictures). Two OpenNebula TechDays, from this year’s scheduled ones have already been hosted. The first on was the TechDay in Kuala Lumpur, at MIMOS, where we learned about the wide OpenNebula ecosystem that is fostering in Malaysia. We want to thank all the people at MIMOS who received us for making this possible. The second TechDay happened in Sofia, Bulgaria, hosted by StorPool. We also want to thank StorPool for the magnificent hosting and the excellent local promotion, which yielded an excellent number of attendees. If you are interested in participating in (or hosting) any of these TechDays agenda let us know. The next TechDay will happen this month hosted by Rentalia, and it will be held in Madrid, Spain. The Swiss Open Systems User Group would be gathering next 16th of June to discuss Cloud Computing. If you are around and want to learn more about Clouds and OpenNebula, drop by. 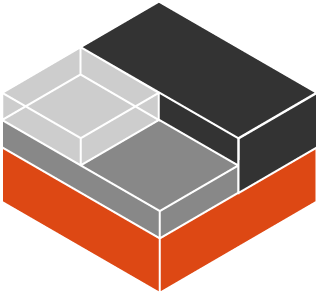 You may be interested in OpenNebula Systems training plans for 2016 for Europe and US. These courses are designed to train cloud administrators to properly operate an OpenNebula infrastructure. Please contact us if your would like to request training near you.